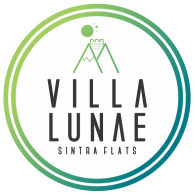 ​Villa Lunae - Sintra Flats offers a prime location in the center of Sintra, to easily explore and enjoy this small piece of paradise. Let yourself go and feel the mysticism of every corner of Sintra, involve yourself in its history and nature in a prime location with all public transports one step from your home. Sintra, land of kings and enchanted princesses, knights and poets , magic and mystery , legends and newts , has a mystical aura and the supernatural power of the evening star. Discover the secrets of the hidden side and on the way between the palaces , castles , churches , parks, gardens, waterfalls , fountains , beaches , traditional villages and flavors , find your brighter side.